In other words, when selling decisions are based on factors that have little to do with underlying values, we – the patient alligators – can strike and pick up assets for bargain prices. 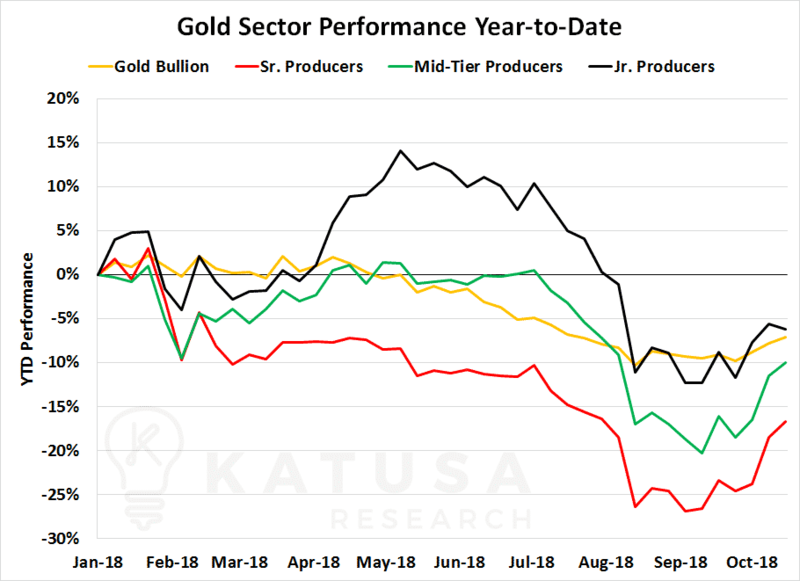 This is exactly what happens at the end of a brutal resource year like the one in 2018 in the resource market. 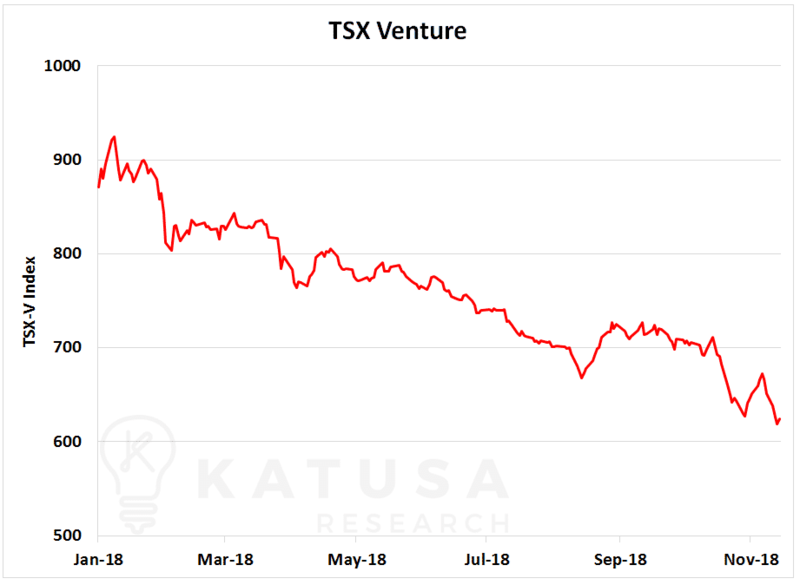 The TSX-V is down 29% for the year. And this includes many crypto, cannabis, resource explorers and other tech ventures plays that are down even more. Especially for those HODLers. That is why I believe certain companies will experience extra selling pressure, which means lower share prices. Simply because those who have locked in gains on certain stocks over the last year (crypto in January or Cannabis in September) will be extra diligent to lock in losses elsewhere in order to lower their tax bill. Losses in cannabis, crypto, precious metals and resources alike could spell an ugly tax loss season. If this materializes it could spell opportunity if you choose right. 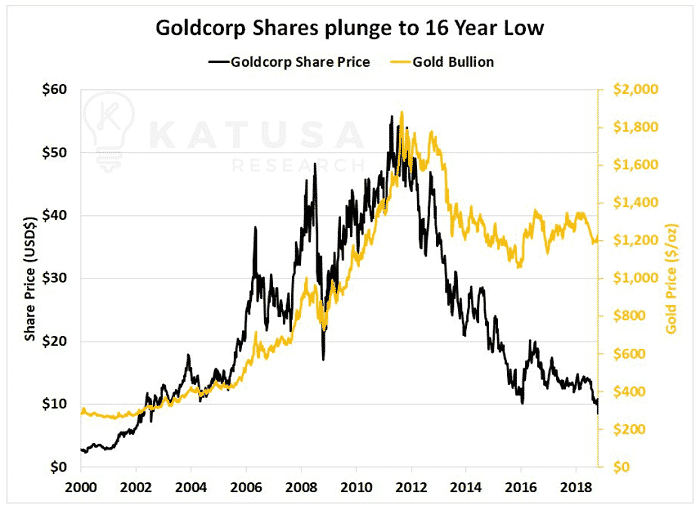 Do you know which gold producers have a Katusa – All-in Sustaining Cost of gold under the spot price of gold? That means you include their AISC and all general & administrative costs on top. I.e. the REAL costs. Do you know which energy companies are making money at $25/lb uranium or oil prices at $55/barrel or lower? These are just some of the data we monitor every day, hunting for the best world-class projects on sale. (Note: Keep your eyes here and in your inbox for a very special 360 degree series I will publish very soon on uranium). Had you been an alligator in the 2015 tax season, 2016 treated you very well. Companies with proven, low-cost deposits in safe jurisdictions, led by strong management teams are the kind of companies that we look out for at Katusa Research. And of course, this applies across the entire resource sector – not just gold. Tax loss season may be prime time for building portfolio positions, but that doesn’t mean you get to skip your due diligence. You still have to find the right companies to buy. A discount means nothing if the product you’re buying is still worth less than what you’re paying for it. But luckily for our Katusa’s Resource Opportunities subscribers, we’ve already done all of the leg work for them. We are constantly filtering through companies in the resource sector, updating and reassessing valuations, in order to find out which companies are worth their share price. And at the end of the year, when tax loss selling is in full swing, my readers will know which companies they should be looking out for – and what the right price to pay for them is. I will be announcing my number one tax loss candidate for 2018 on December 5th, in the next edition of Katusa’s Resource Opportunities. Do yourself a favor and let the best show you how it’s done.